Ko Yoon Restaurant is a very small and discreet place serving amazing Hokkien Noodles. 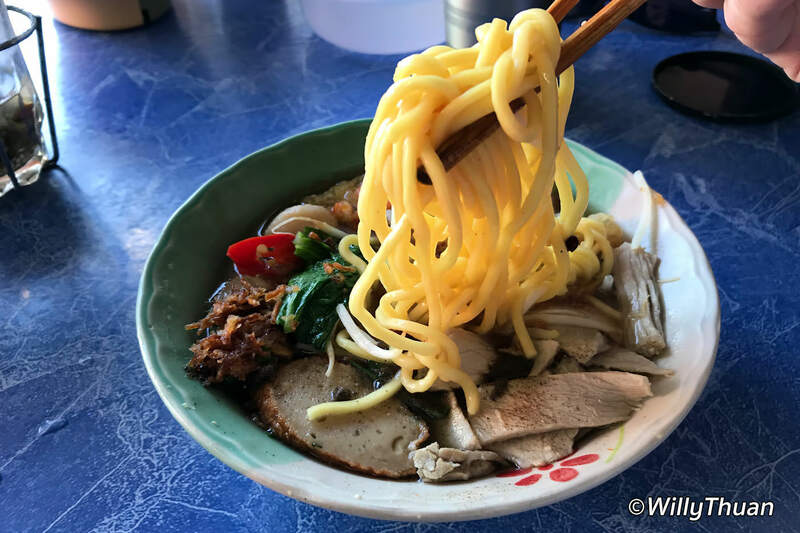 If you happen to visit Phuket Town, chances are you walked passed it without noticing it, it looks like any other anonymous local hole-in-the-wall restaurant. But Ko Yoon has prepared those delicious big yellow noodles for decades and locals know how good they are. 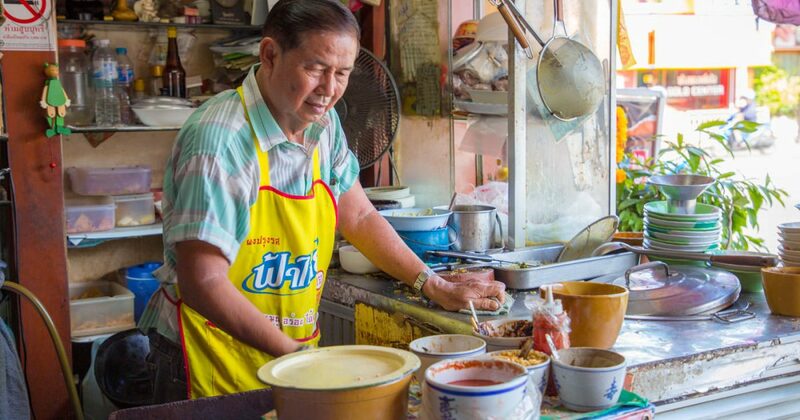 Yes they is much hype about Mee Ton Poh, but while Mee Ton Poh is also very good, Ko Yoon has this little extra that makes his noodle dish a little better. In case you never heard of this dish, Hokkien Noodles (Hokkien Mee) is a Singaporean and Malaysian dish that originally came from Fujian province in China. KoYoon serves it with thick egg noodles, fish balls, pork and brown soup. 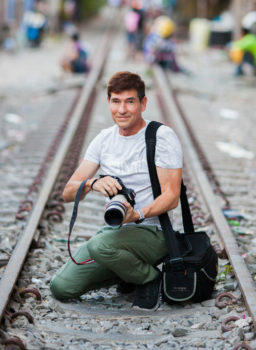 If you are exploring Phuket Town, it is very easy to find (and miss) near the fountain circle that connects Yaowarat Road, Bangkok Road and Ranong Road, not far from the blue buses station at the city fresh market. Ko Yoon is a perfect stop for an energy refilling snack. 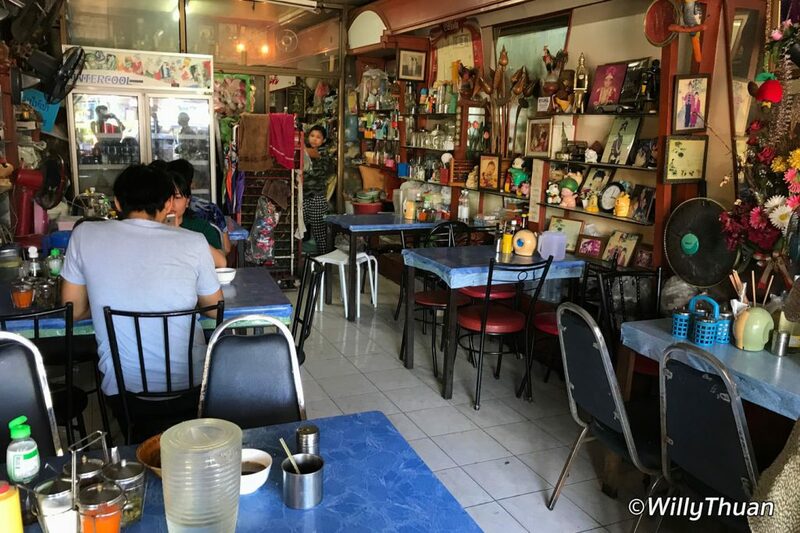 The restaurant is known to also display an eclectic bric-à-brac of items collected along the years that don’t seem to follow any particular theme, just something to keep your eyes busy while enjoying your noodles.